Designed and manufactured in Australia in direct consultation with industrial end users, the Series 1000 provides a flexible and reliable communications platform for interfacing with both Serial and Ethernet enabled devices over cellular HSDPA and HSUPA networks. 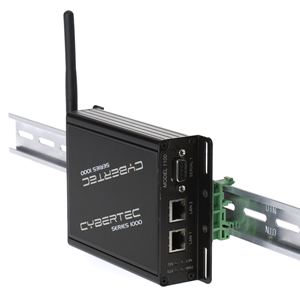 Standard on all models are two Ethernet ports, eliminating the need for an external switch in applications where a remote LAN is made up of only one or two devices. The Series 1000 modem provides advanced routing features including NAT, stateful packet inspection firewall and static and dynamic routing. Extensive VPN support includes IPsec and OpenVPN (SSL) VPNs. 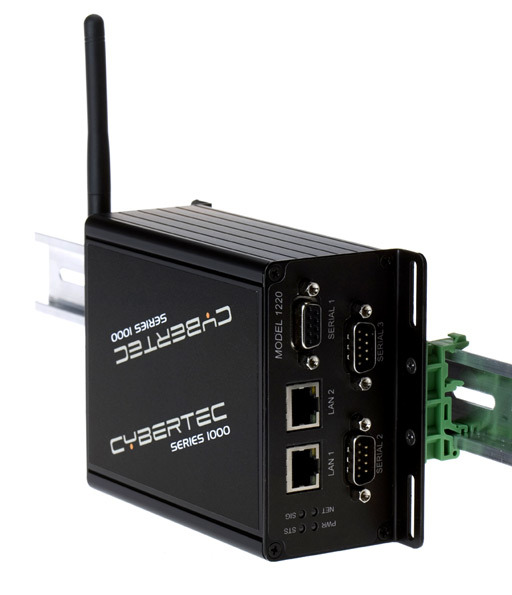 Connection to Serial hardware such as RTUs and PLCs remains a key application for many customers. Modems come with 1 RS232 port (1100 model) or 3 RS232 ports (1220 model) which may be used as a drop-in replacement for dial-up modem emulation in either IP or circuit switched data modes. With a small, robust and rugged enclosure the Series 1000 modems can be installed stand-alone or secured with the DIN Rail mount option. Power supply for the devices operate from a wide input range from 10 VDC to 60 VDC.